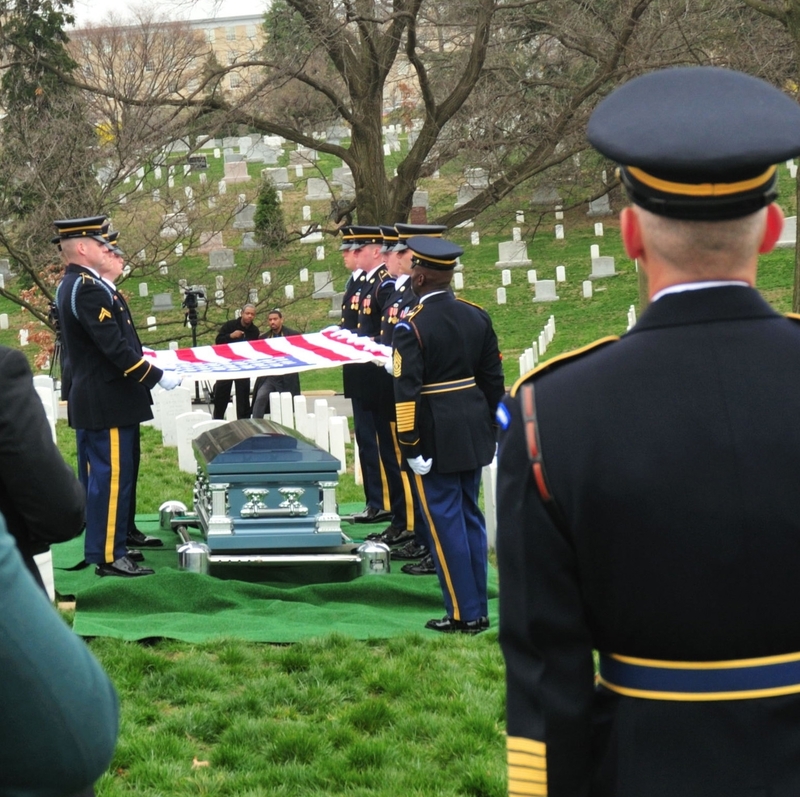 ARLINGTON, Va. (Army News Service, March 19, 2008) - The second Sergeant Major of the Army, George W. Dunaway, who was coined a "Soldier's Soldier" by his troops, was accorded full military honors as he was laid to rest at Arlington National Cemetery here today. Dunaway served two years as the second SMA from 1968 until 1970 under Chief of Staff General William C. Westmoreland. During his tenure, the sergeant major was instrumental in the introduction of the non-commissioned officer education system, a three-tiered system to train NCOs in basic, advanced and senior courses ensuring Soldiers would receive the best leadership possible. The capstone of Dunaway's career was the creation of the Sergeants Major Academy. Sergeant Major of the Army Kenneth O. Preston praised Dunaway for taking the Army's senior enlisted post at a critical time in the nation's history and for his leadership and devotion to Soldiers. "Today is a solemn day to pay honor and tribute to the Dunaway family for the sacrifices they've made and to a great Soldier, a great leader and a friend of the Army who has been a great coach, teacher and mentor for us all," he said. "Last night I had the opportunity to speak with SMA Dunaway's wife, Mary. "She is a great Army wife and when you look at what George and Mary did for Soldiers and their families throughout their careers, it was really incredible back in a time when family readiness groups didn't exist" Preston said. "They took it upon themselves to bring families into the fold and help build continuity among the units in which they served." Born in 1922 in Richmond, Virginia, Dunaway began his Army career attending the airborne course in 1943, then served as an airborne instructor until he jointed the 517th Parachute Regimental Combat Team in France as a platoon sergeant in 1945. Following World War II, he served as a first sergeant with the 501st Parachute Infantry Regiment until 1948 when he was reassigned to the 82nd Airborne Division. Next he became the operations sergeant and eventually the regimental sergeant major of the 505th Parachute Infamtry Regiment, in 1952. In the 1950s Dunaway served with the 187th Regimental Combat Team as its Sergeant Major and later with the 101st Airborne Division as its senior NCO. In 1961 he took the reins of the 1st Special Forces Group in Okinawa and later moved to the 5th Special Forces Group in Vietnam where he remained until June 1967. After returning to the U.S., he rejoined the 101st as it prepared to move to Vietnam in the largest unit deployment by air in the history of the war. He found himself back in Vietnam with the commanding general's command group in December 1967. In early 1968 he moved to Camp Eagle in the I Corps Tactical Zone with the 101st where he remained until July 1968 when he was selected as the second SMA. 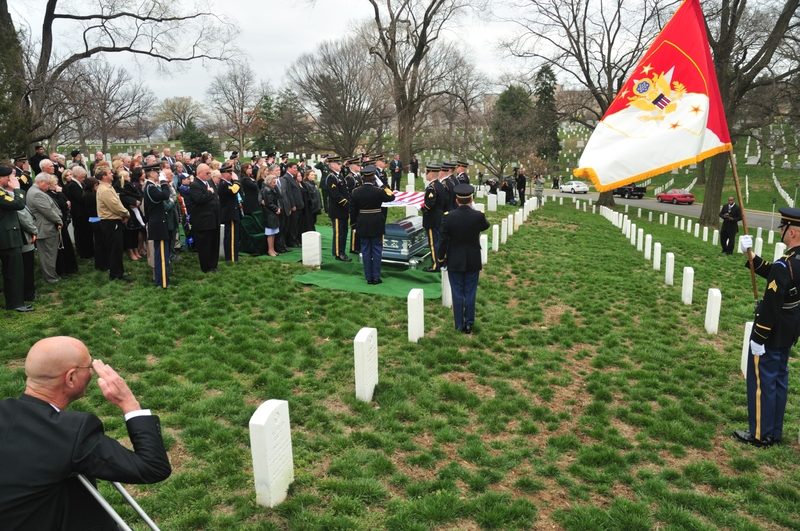 Dunaway was the first SMA to be buried at Arlington National Cemetery. He was 85 and is survived by wife, Mary, sons Michael and George and daughers, Martha and Suzanne. 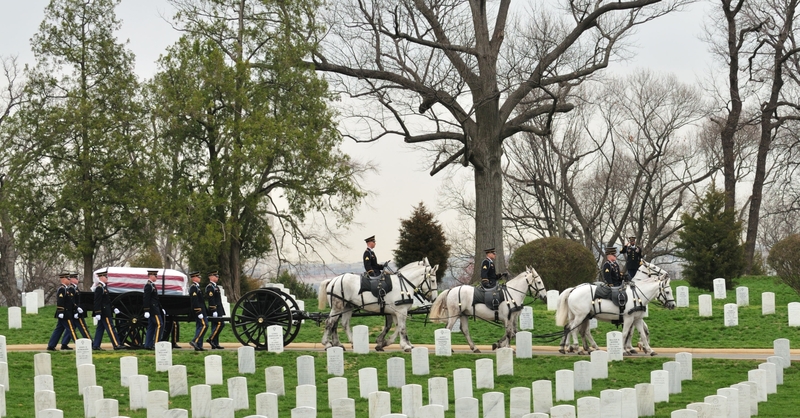 SMA George Dunaway, 85, of Las Vegas, passed away February 6, 2008. He is survived by his wife of 65 years, Mary (Peck); his two sons, Michael and George; two daughters, Martha Barnett and Suzanne Hunt; 10 grandchildren; and five great grandchildren. SMA George W. Dunaway served as the Sergeant Major of the Army from September 1968 to September 1970. He was the second noncommissioned officer to hold this post. Born July 24, 1922, in Richmond, Virginia, he enlisted in the Virginia Army National Guard’s 29th Division in January 1940, and was mobilized with the division in February 1941. In 1943, he volunteered for parachute training, then later pathfinder and glider instruction. He spent the majority of his career in airborne infantry assignments, serving with the 501st Airborne Infantry Battalion, the 187th, 505th, 517th and 542nd Parachute Infantry Regiments along with service in the 82nd and 101st Airborne Divisions and the Special Forces. Dunaway served in France in World War II with the 517th Regimental Combat Team and fought in Germany and Belgium where he participated in the Battle of the Bulge, during the first of his three combat tours. In September 1950, he and select members of his battalion were sent to Nevada to participate in nuclear testing as part of exercise “Tower Blast.” He would go on to serve as the regimental sergeant major in 1952. Dunaway served as the Sergeant Major for the 5th Special Forces Group in Vietnam. In June 1967, he was assigned as the Division Sergeant Major for the 101st Airborne Division at Fort Campbell, Kentucky and accompanied this unit to Vietnam. From there, he was selected by the Army chief of staff, General William C. Westmoreland, as the second Sergeant Major of the Army. During his two year tenure, he worked to institutionalize the Office of Sergeant Major of the Army and directly affected soldier policy during an unpopular war. It was also during his tenure that the Army implemented the newly developed Noncommissioned Officer Education System (NCOES), and he furthered the implementation of the Sergeants Major Academy. Additionally, he was instrumental in correcting what he believed a long standing problem – the lack of special duty pay for drill instructors, an incentive he believed was needed to attract and retain good soldiers in this all-important and necessary program. 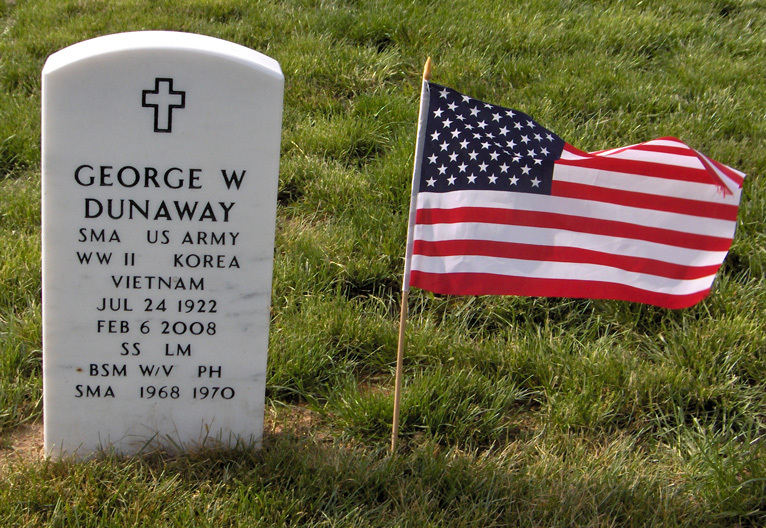 George W. Dunaway retired on September 30, 1970, after 30 years of faithful and selfless service as a soldier. He continued to support the Army in retirement and as recently as January 8, 2008, he actively participated in the Sergeants Major of the Army Conference at Fort Bliss, Texas. He will be missed, but his legacy of selfless service to the nation and his accomplishments as a soldier will survive as an example for this and future generations of soldiers. As we reflect on our loss, let’s not lose sight of the fact that George W. Dunaway had a full, productive life and a successful career as a husband, father, soldier, and citizen and that we are all better for having known him. Farewell Old Soldier – the torch has been passed.